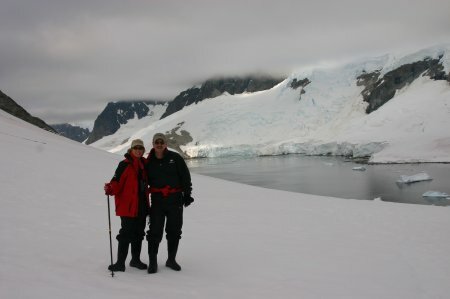 In January 2006 Steve and Sally took a Lindblad Expeditions’ “Antarctica - the White Continent” expedition cruise. First they flew into Santiago, Chile and spent several days visiting the Chilean wine country . After that they linked up with Lindblad and toured Torres del Paine National Park for several days. 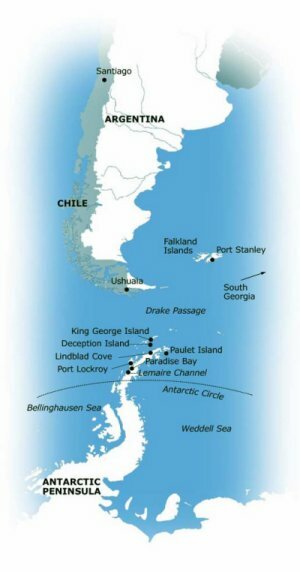 Then Lindblad flew them to Ushuaia, Argentina where they boarded the National Geographic Endeavour and began their exploration of Antarctica. 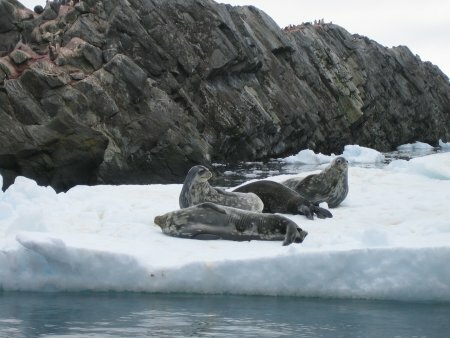 Lindblad Expeditions turns vacationers into explorers. Intimate groups set sail on small expedition ships and voyage to unique destinations around the globe, going places luxury liners can’t. A roster of celebrated Expedition Leaders and Naturalists will guarantee every minute of every day of every expedition is different from the last. Logo, map and information courtesy of Lindblad Expeditions. 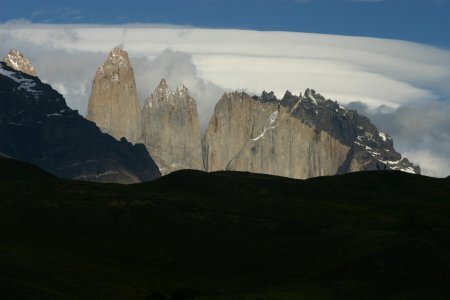 More peaks in Torres in the Chilean Patagonia. 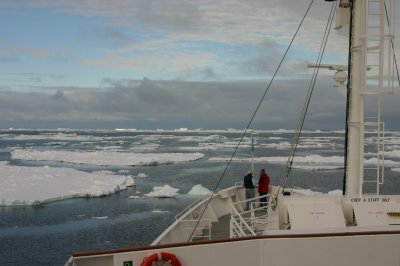 The National Geographic Endeavour in the caldera of Deception Island. The Endeavour is home to 110 guests. The ship has a fitness center, gift shop, library, lounge, swimming pool, zodiacs and kayaks. 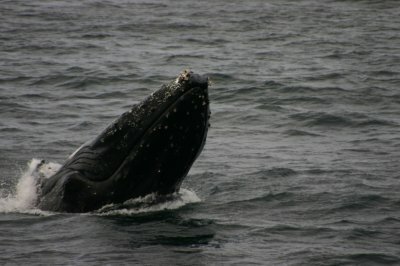 Steve and Sally traveled in the company of a National Georgraphic researcher, writer, and photographer and Lindblad’s naturalists. 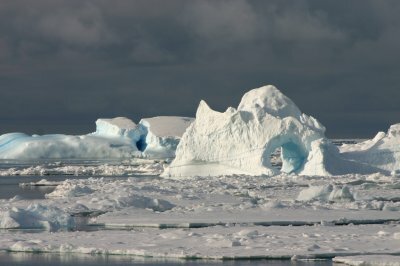 According to Steve, it’s a fantastic ship for exploring Antarctica. 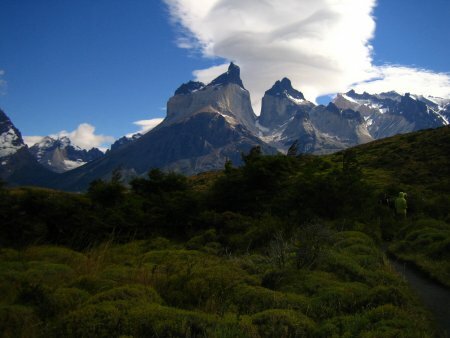 Torres del Paine National Park in Patagonia. Sally & Steve on the Seventh Continent. 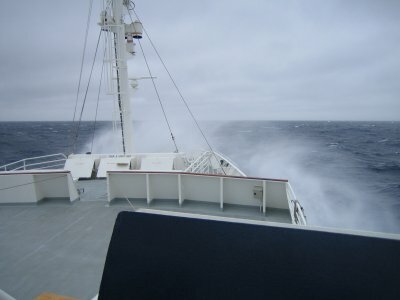 The Endeavour sailing through Drake’s Passage. 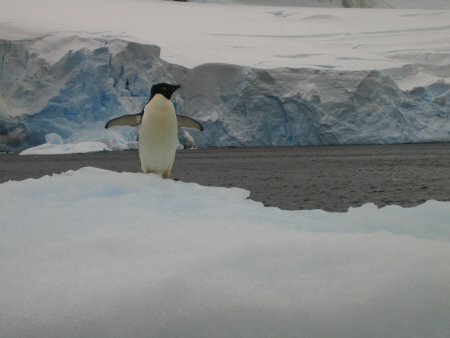 Adelie penguin on the Antarctic peninsula (named after a French explorer’s wife). 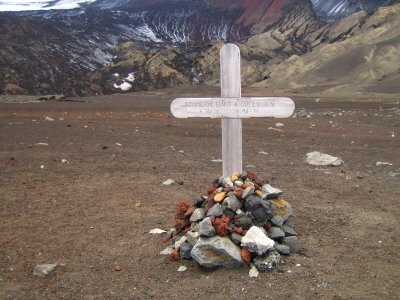 A whaler’s grave on Deception Island. 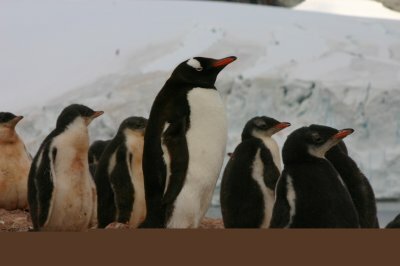 Life is hard in Antarctica. Our thanks to Steve for sharing his amazing photos with us. 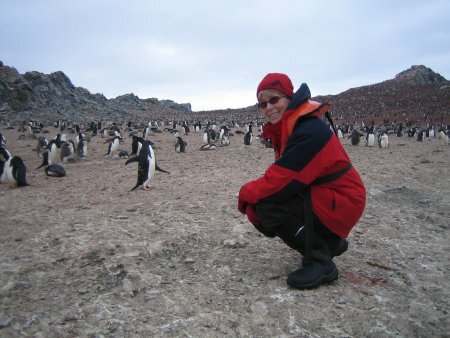 Sally at the Adelie Rookery, Danger Islands, Weddell Sea. 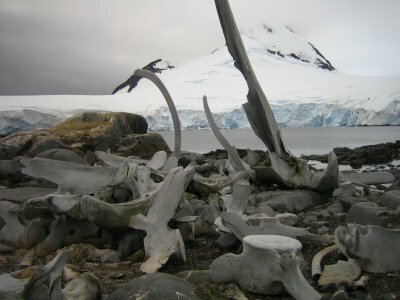 The last resting place of a sea mammal.